With more than 60 authorized dealers in North America, Rayne Water is a	leading water conditioning equipment provider. We are proud to uphold	the highest standards of honesty, integrity, and professionalism with	all the equipment and services we offer. Our team can help you have fresh	water or conditioned soft water at your home or business within just a	few days. 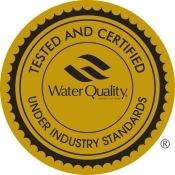 For nearly 90 years, we have been helping our customers meet	their water conditioning needs. To learn more about how we can help you,	give us a call at (909) 885-3284 today. Our equipment is designed to help you receive crystal clear water right	from your very own kitchen sink. In fact, the water that you will have	in your home will be comparable to the leading bottled water brands or	even better. We are also able to provide water conditioners that offer	a higher pressure and better feeling water for your bath and shower. To	help make the water softening process easier, we provide tank exchange	services so you don’t have to replace the heavy or clumsy tanks	yourself. The commercial water systems we offer are designed to help your	small or large business get the high-quality water it needs to offer better	service for restaurants, office complexes, heath care facilities, car	washes, and other types of businesses. Contact us at (909) 885-3284 for more information on our San Bernardino water filter	systems and water softener systems.